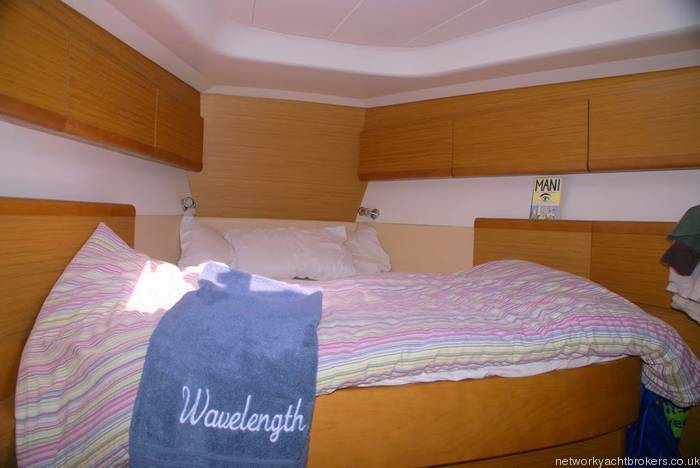 'Wavelength of Conwy', a privately owned Jeanneau Sun Odyssey 45DS, delivered to Conwy in 2007 (Never used for Charter). 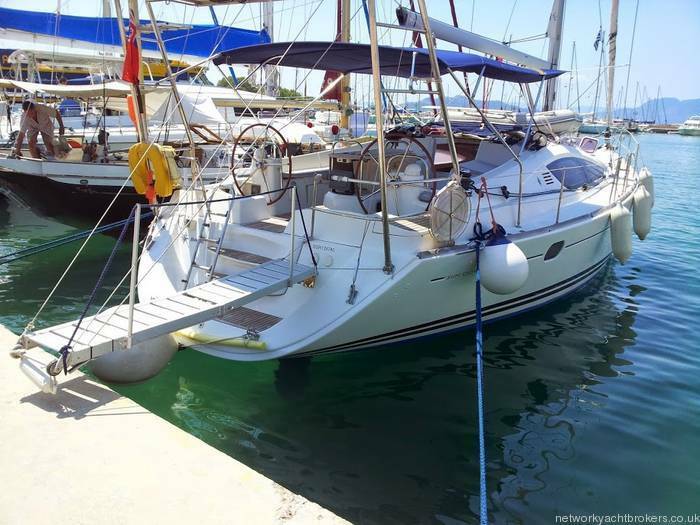 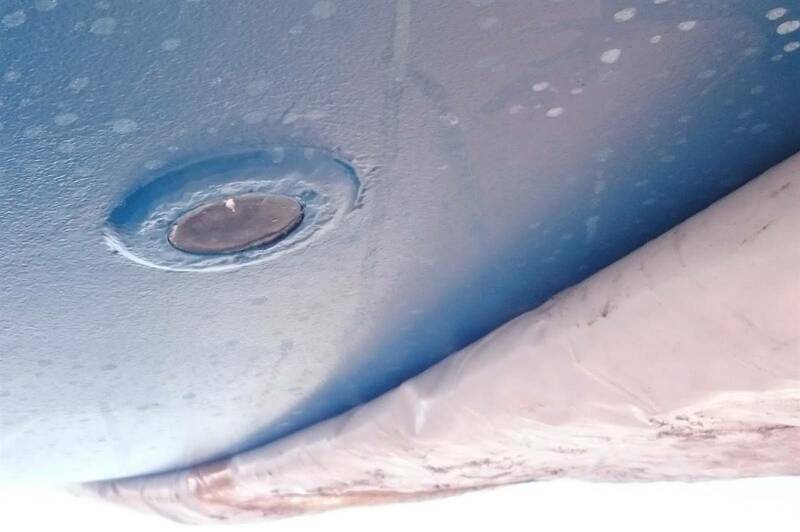 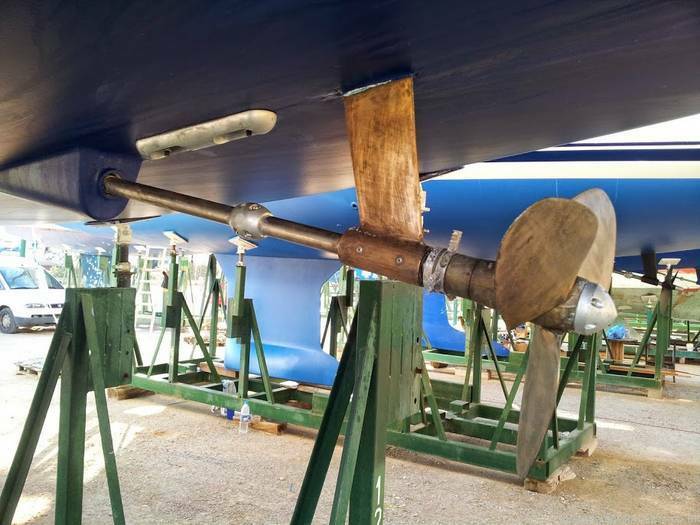 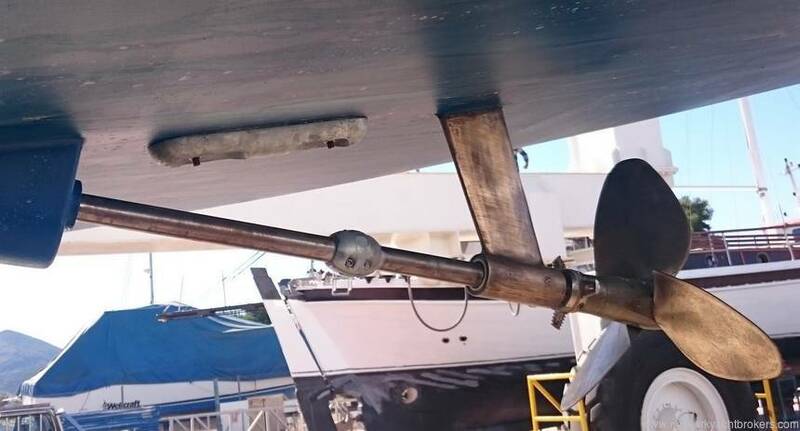 She is a fully equipped yacht, one owner from new and lying in the Med. 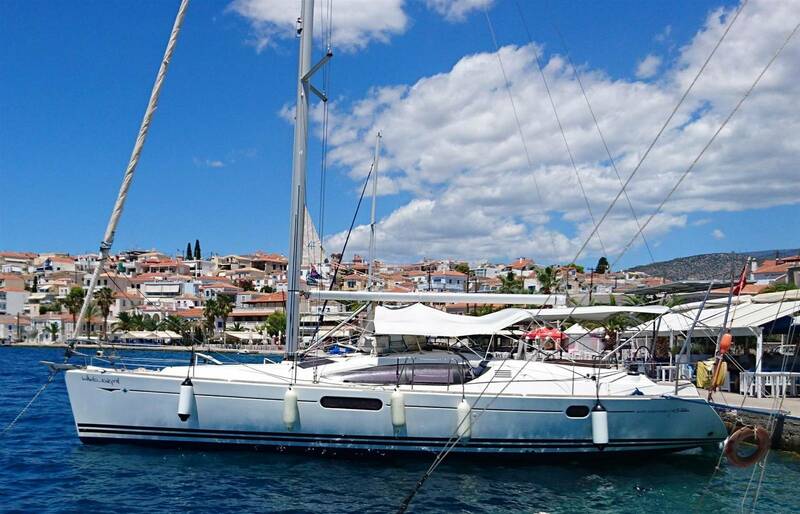 She is exceptionally smooth in high seas and gives the skipper confidence whilst at the helm. 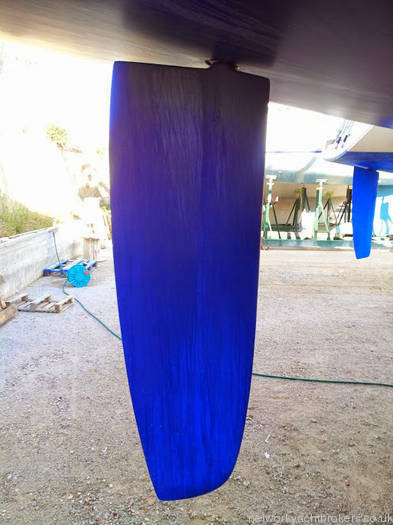 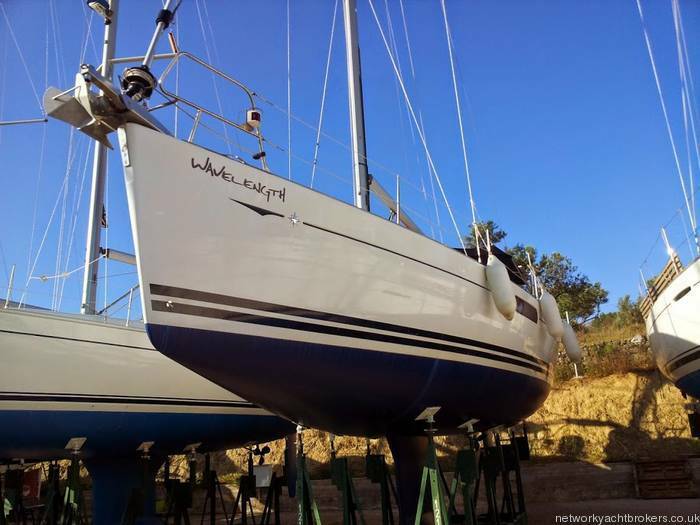 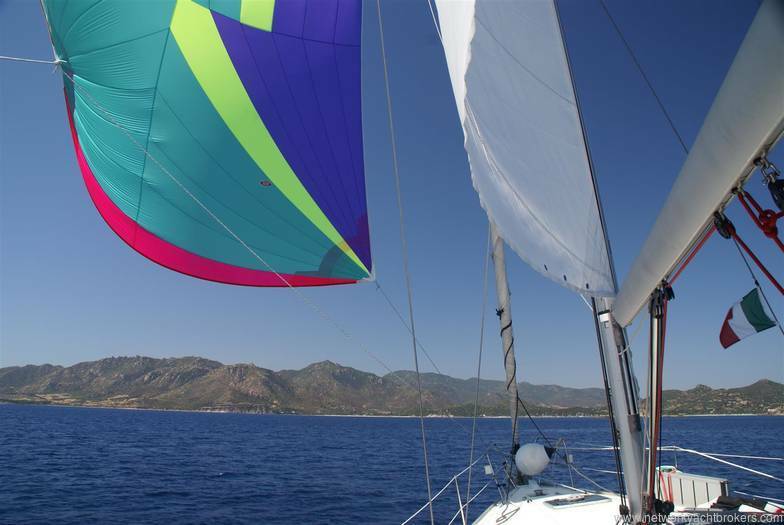 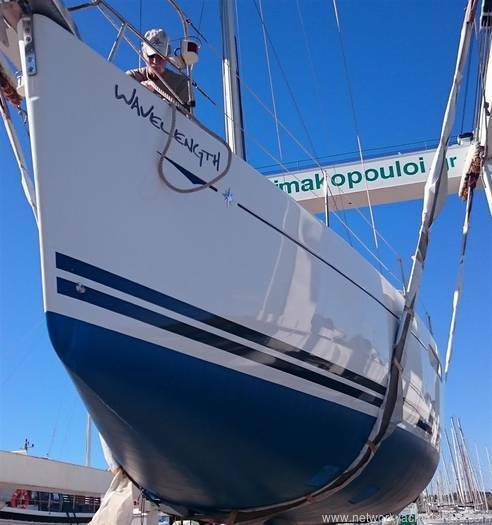 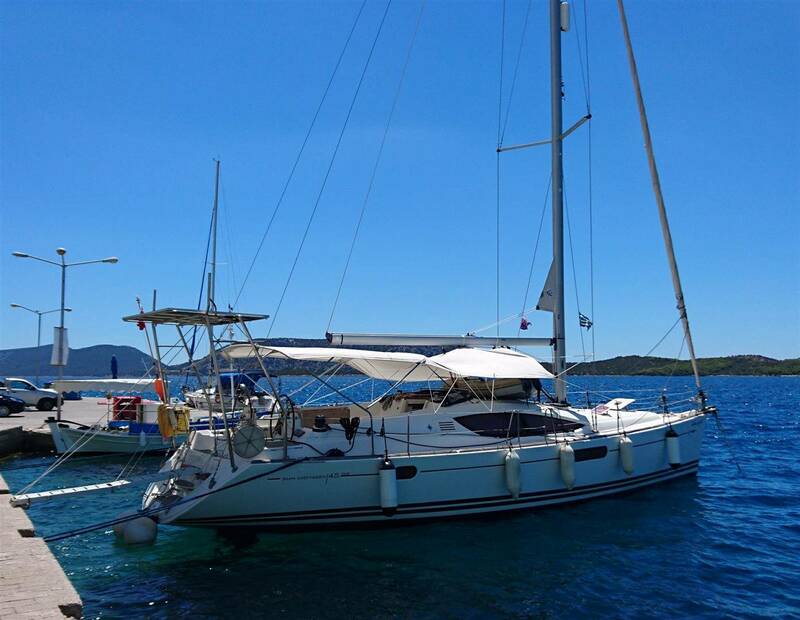 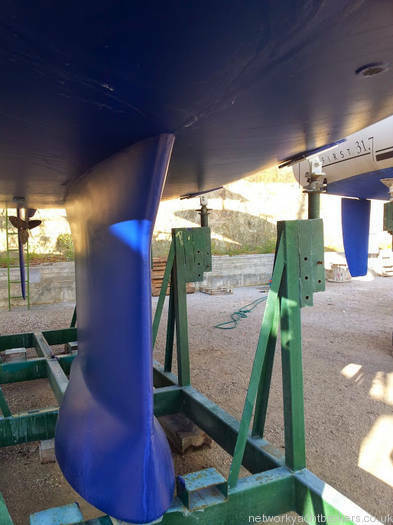 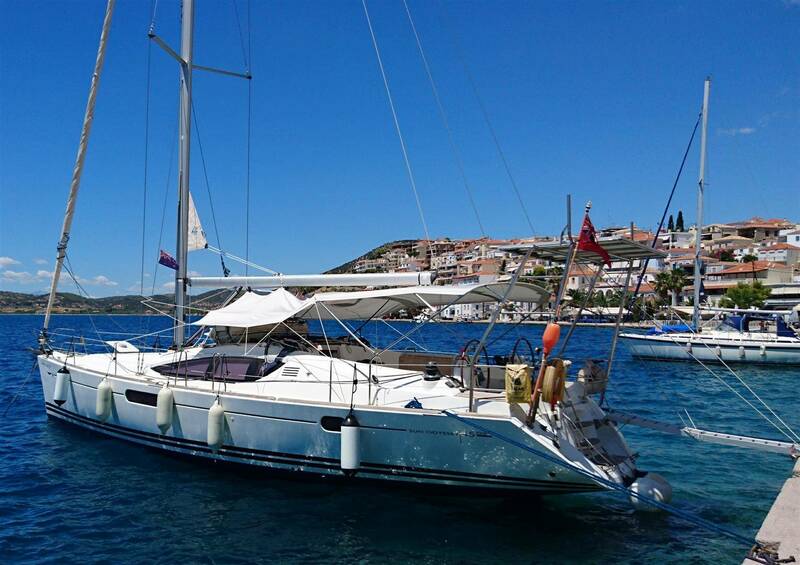 She has a well balanced rig with solid lines, high end sails and super quality deck gear to make sailing easier and more fluid. 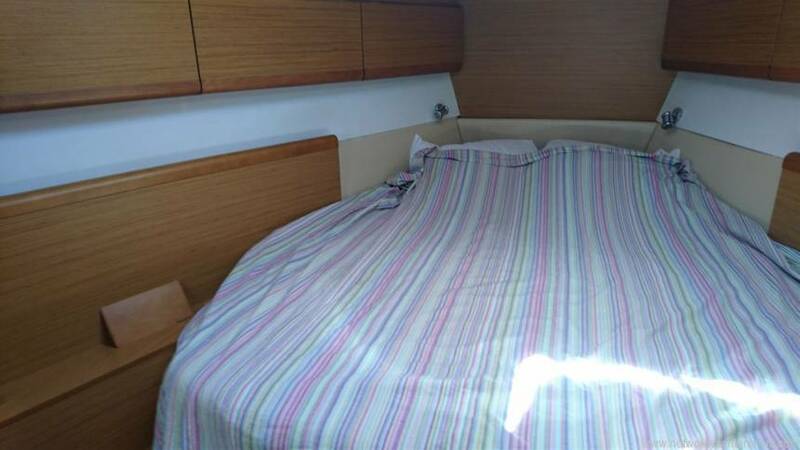 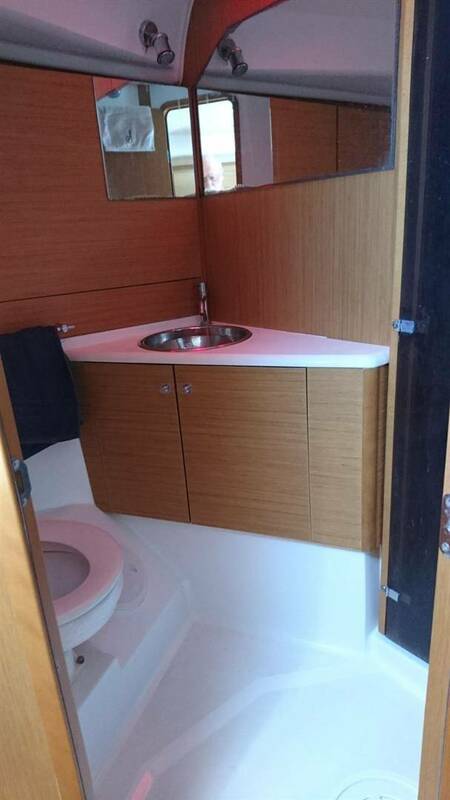 The interior of this boat is light, modern and very comfortable. 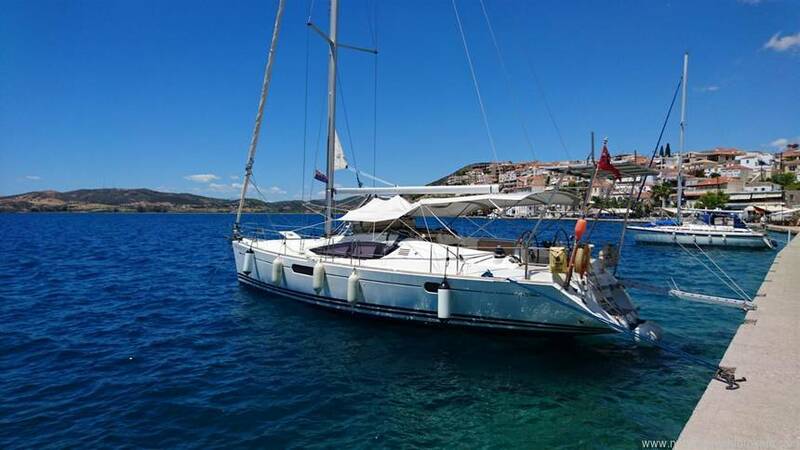 Lying Aegean - Priced to sell - Open to offers. 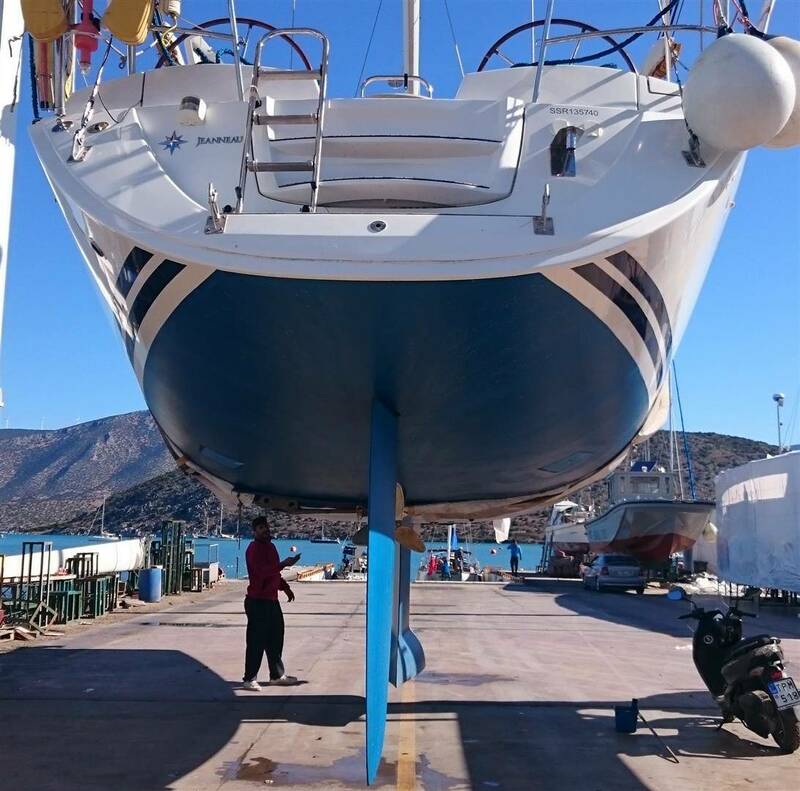 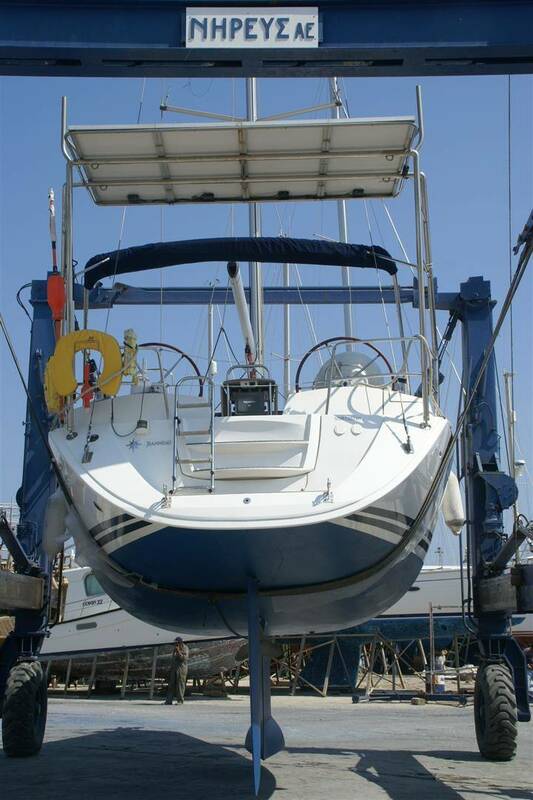 For further brokerage Boats For Sale with Conwy, please visit our website. 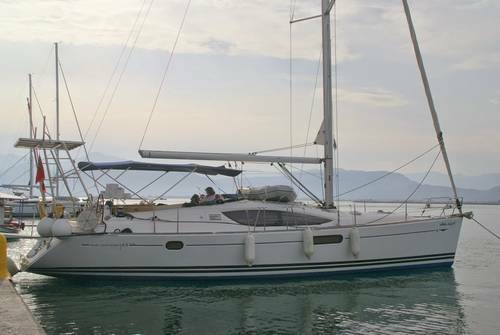 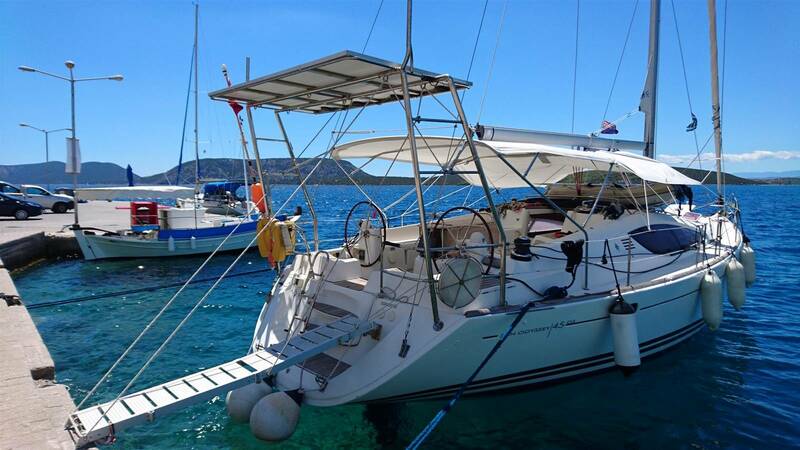 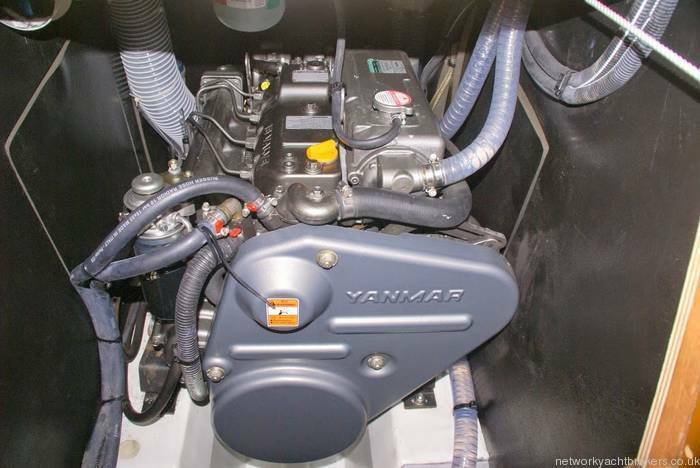 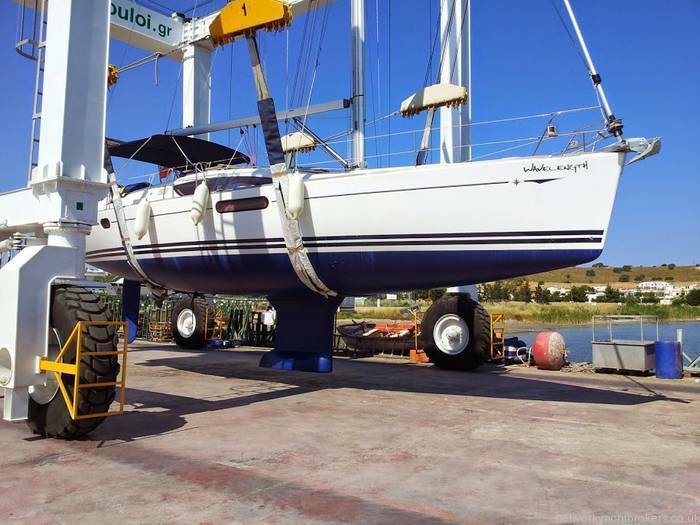 For more information or to see a full list of all the available options for the Jeanneau Sun Odyssey 45DS yacht please contact Network Yacht Brokers Conwy, dealers for Jeanneau Sail and Jeanneau Power Boats. 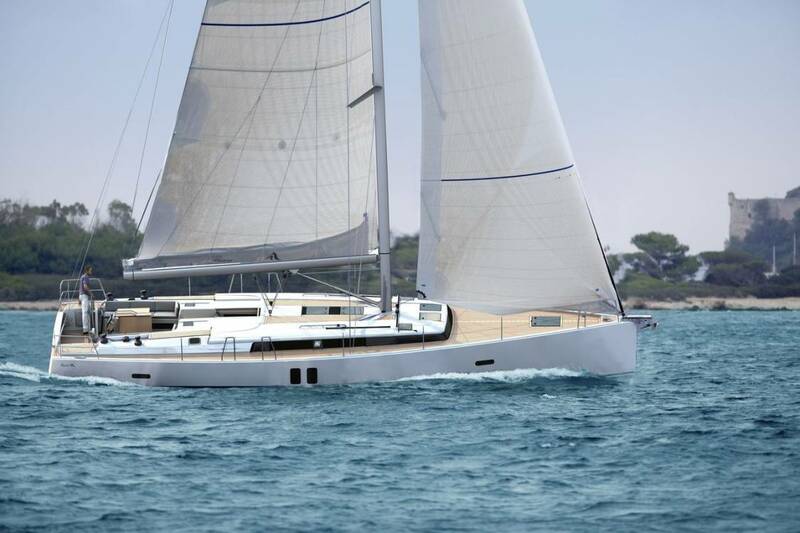 The 45 DS interior shows the evolution of Jeanneau’s deck saloon concept. 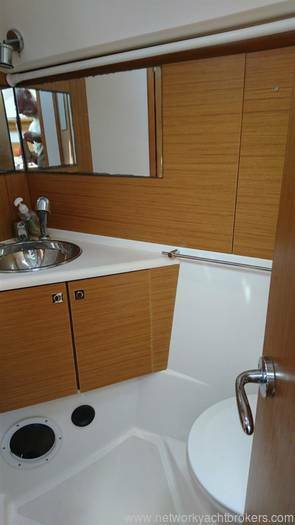 The boat maximizes the abundance of space, taking full advantage of natural light and cross ventilation. 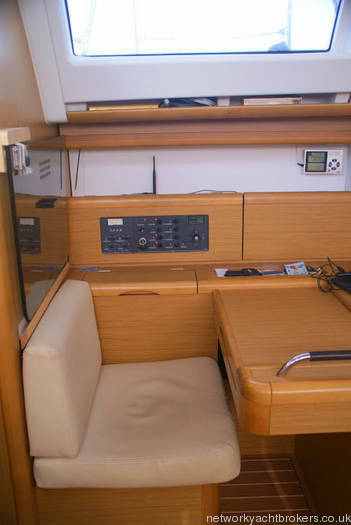 The mix of Jeanneau’s laminate called Fine Teak with solid teak edgings and creamy white headliners makes for a clean, elegant and yet still inviting aura below. The forward master cabin includes a vanity desk, several small lockers on both sides of the bunk and a large hanging locker. 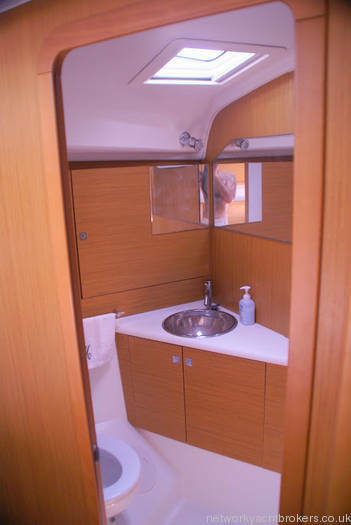 This three-cabin version includes double side-by-side cabins aft. 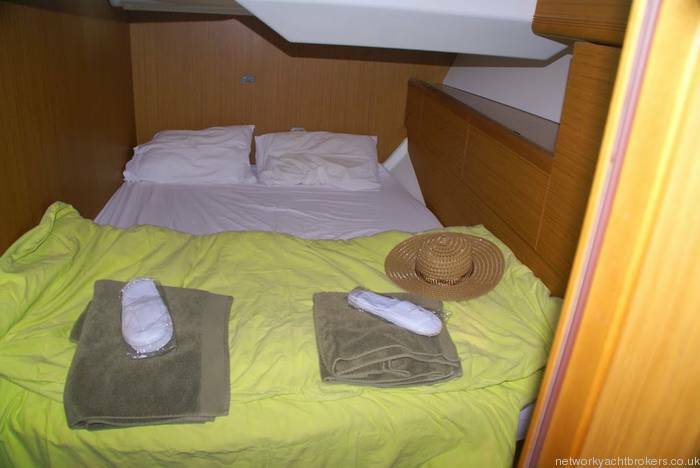 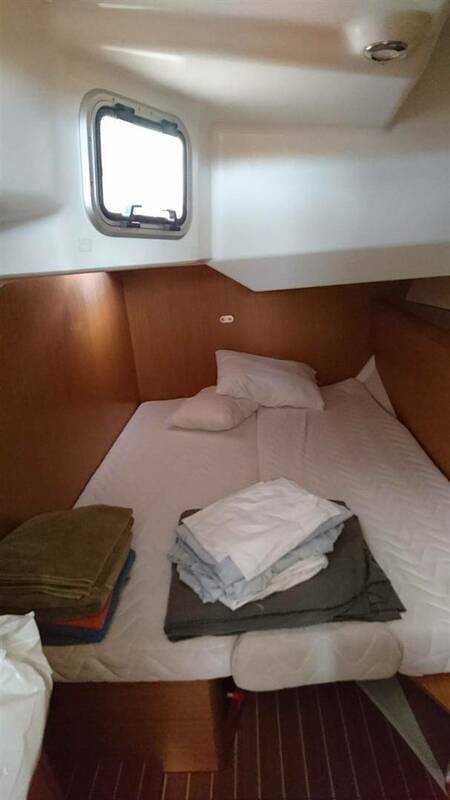 The advantage of this arrangement is that one of the cabins makes a good sea berth on either tack. 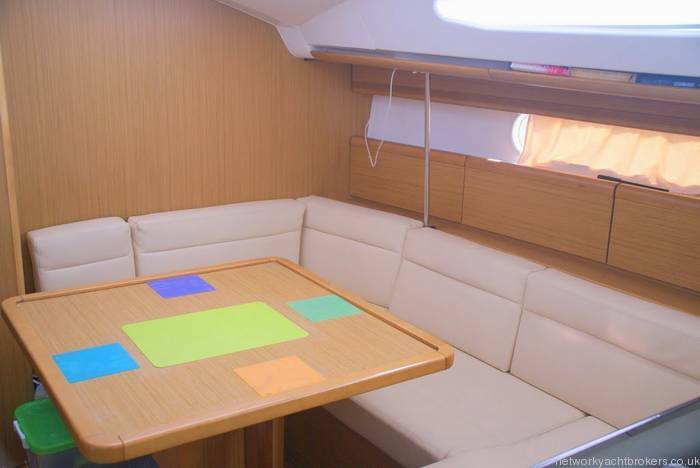 The expansive saloon incorporates a U-shaped settee to starboard and straight settee opposite. 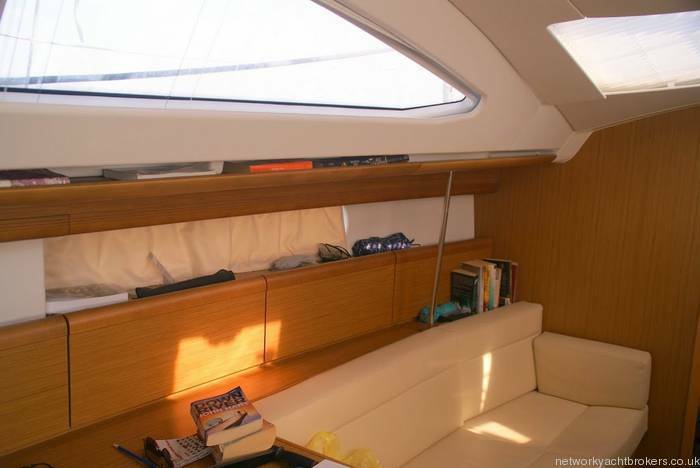 Naturally light and ventilation is superb. 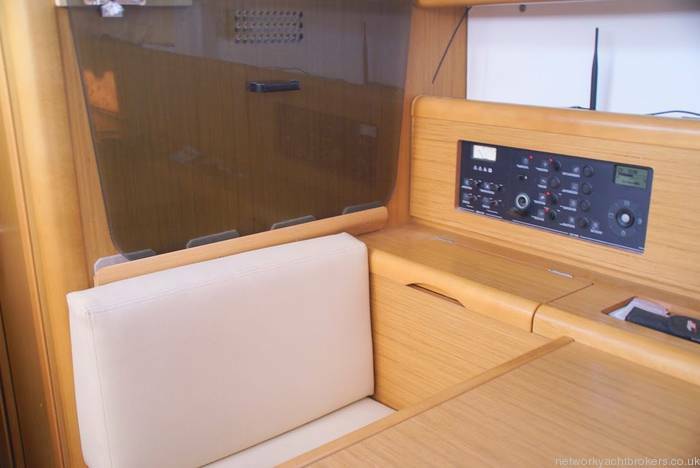 There are well placed, leather-covered stainless grab rails on the nav desk, along the companionway steps and in the saloon. 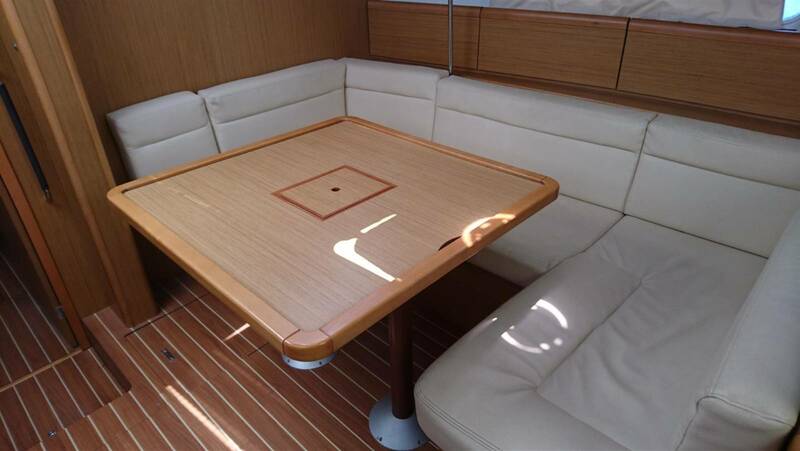 The saloon table converts to a double berth. 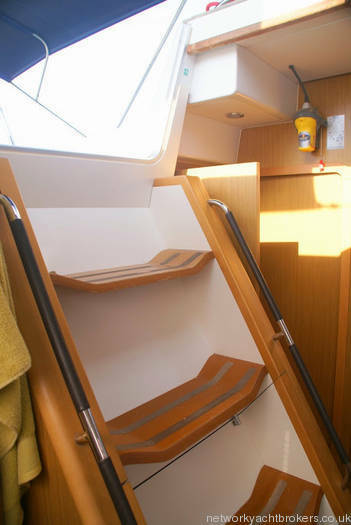 The L-shaped galley is to starboard. 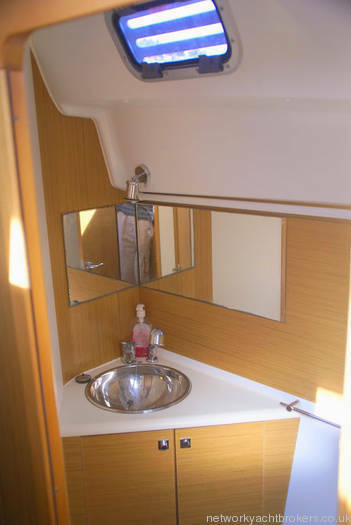 There are double sinks and a three burner stove with oven. 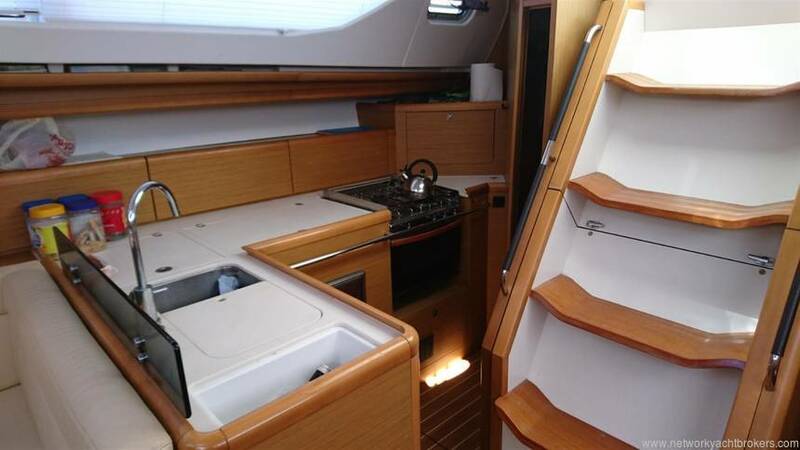 There’s a lot of stowage, including lockers above and behind the countertops and stove. 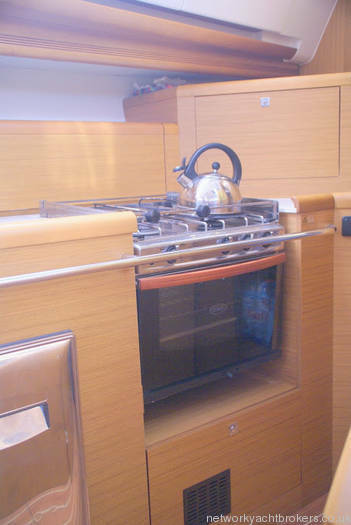 The fridge is top and front loading and the galley drawers are mounted fore-and-aft and have positive latches. 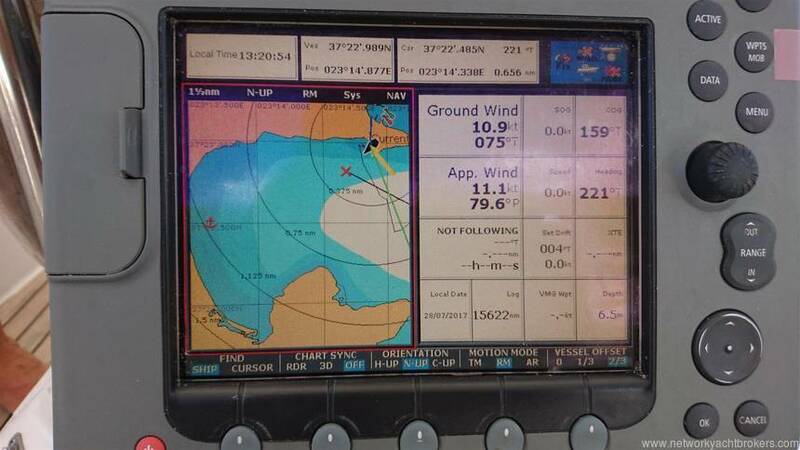 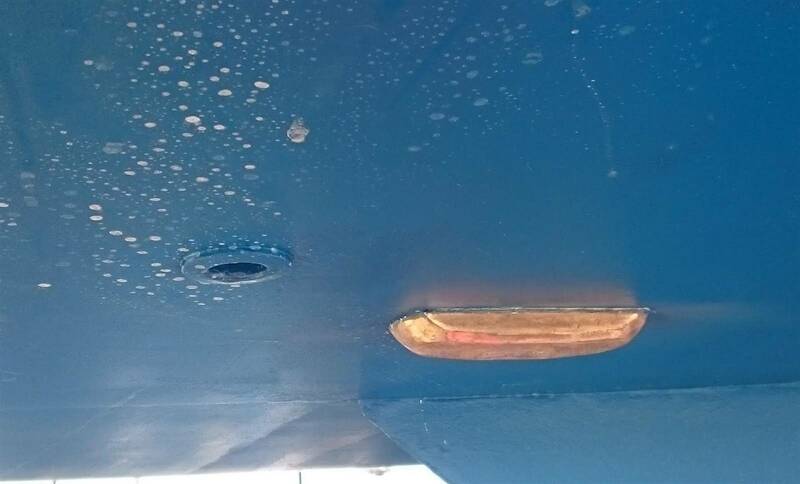 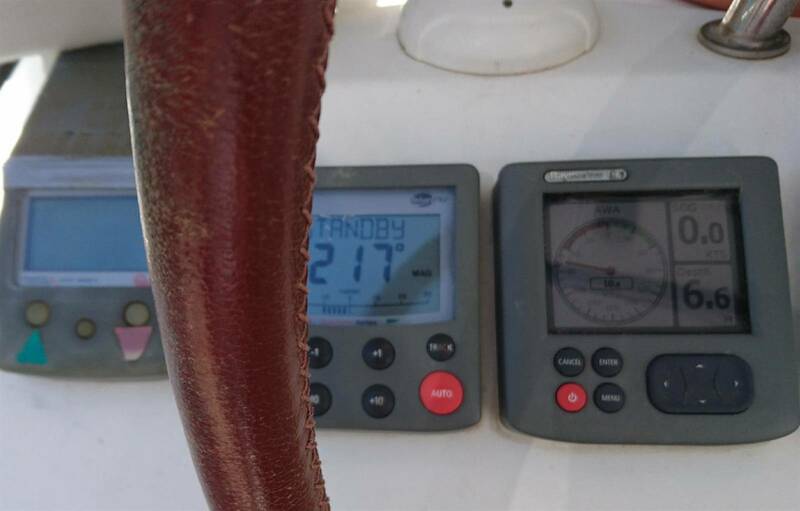 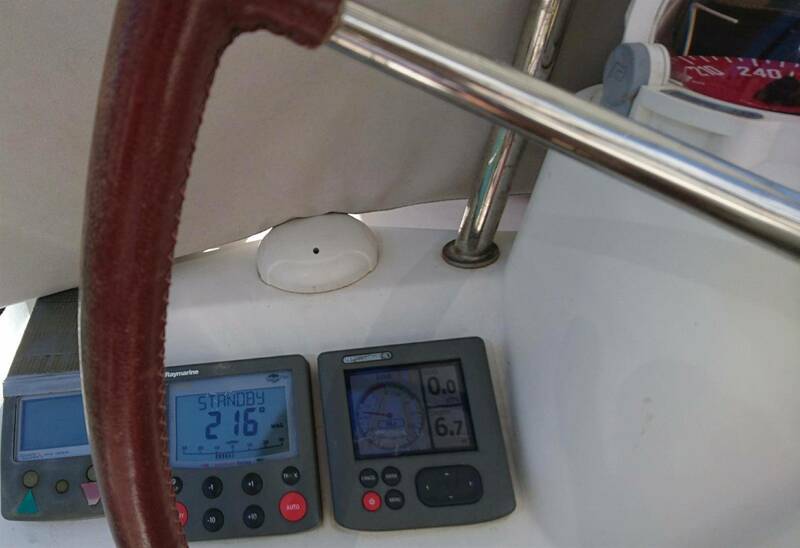 The nav station is opposite the galley. 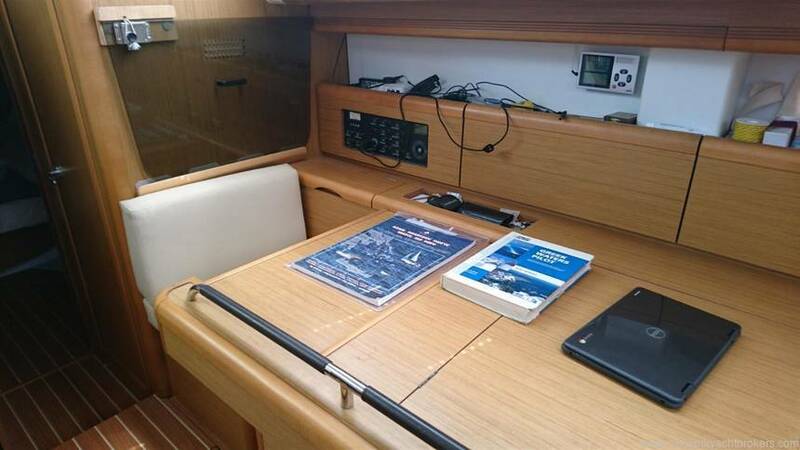 The desk is designed to house a laptop, reflecting the reality of PC navigation. 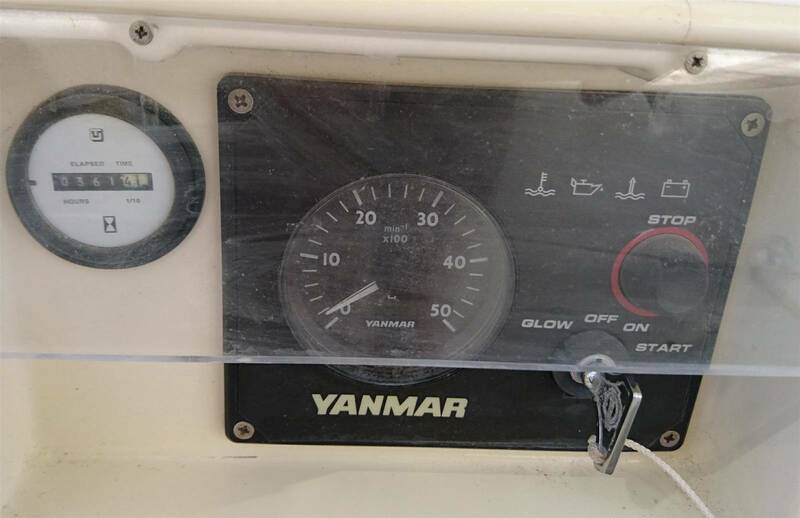 The electrical panel is readily accessible outboard the nav station and, not surprisingly, a glance behind reveals immaculate workmanship. 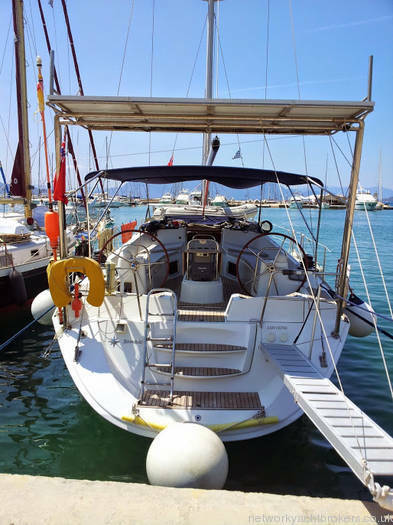 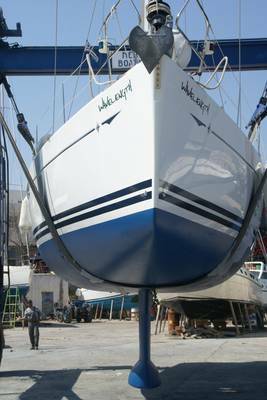 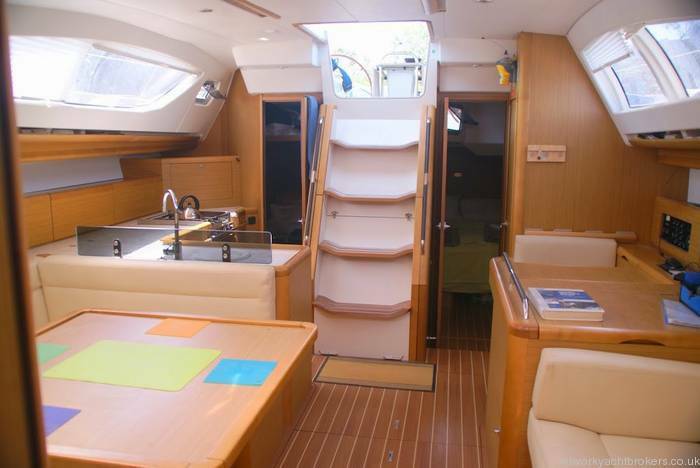 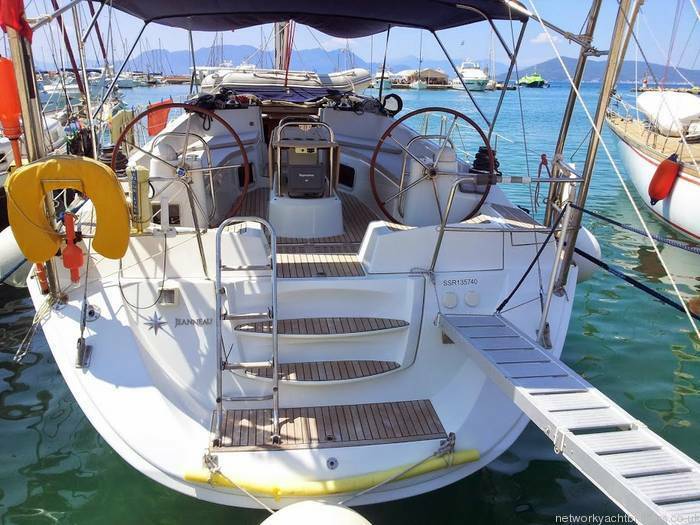 Built by Jeanneau to a Briand/Garroni design. 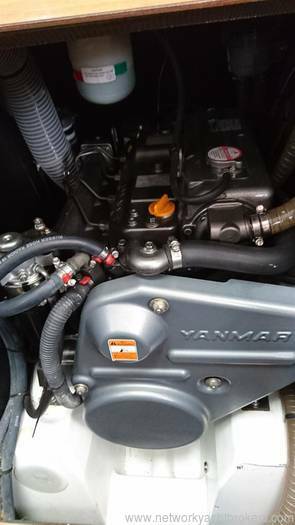 Supplied by Network Yacht Brokers Conwy (Jeanneau Dealer for Wales).